In dryland ecosystems, post-transplant water stress produces high seedling mortality after the first summer following outplanting. Our aim was to assess the effects of clay and hydrogel, both on the water holding capacity of the growing media and on various morphological and physiological characteristics of Quercus suber seedlings in the nursery and, subsequently, during the first 2 years in the field. Quercus suber L. seedlings were grown in four types of growing media: CS (Control growing media, standard mixture of limed peat and coconut peat, 1:1 v/v ratio), SC-10 (CS mixed with sepiolite clay at 10% v/v) and HS (CS mixed with hydrogel Stockosorb® K-400 at two doses, 0.7 and 1.5% w/w). HS-1.5 showed the best results, increasing the water holding capacity of the root plug, improving seedling water status and increasing seedling survival in the field. SC-10 showed an intermediate effect on seedling response in the field. Mixing hydrogel with a peat-based growing medium to form root plugs is a suitable technique for cultivating species to be planted in areas with a strong water deficit. 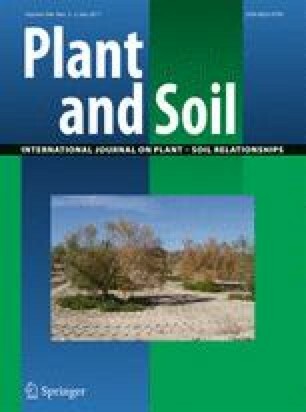 This technique reduces post-transplant water stress in seedlings during their first months in the field and contributes to improve forest-restoration methods in dryland ecosystems. This research was partially funded by the European Commission (CREOAK project, QLRT-2001-01594), the Spanish Government through the Ministry of Environment (ESTRES project, 063/SGTB/2007/7.1) and the Consolider program INGENIO 2010 (GRACCIE Project, CSD2007-00067), as well as by the Generalitat Valenciana (APLITEC project, GV 05/208; INNOVA project, GVPRE/2008/085 and Feedbacks-Prometeo/2009/006). A special thanks to the Forest Service in Alicante (Consellería de Medi Ambient, Aigua, Urbanisme i Habitatge) for the use of the Santa Faz nursery, Dr. Eustaquio Gil-Pelegrín (Centro de Investigación y Tecnología Agroalimentaria de Aragón, CITA) who carried out the internal review of the manuscript prior to submission and Jacqueline Scheiding for revising and editing the text. The CEAM Foundation is financed by the Generalitat Valenciana and BANCAJA.